Fulton County Sheriff’s Dept.Young Jeezy has been arrested in Atlanta for battery, false imprisonment, and making terrorist threats against his son. The Fulton County, GA Sheriff’s Department confirms the arrest on their website. 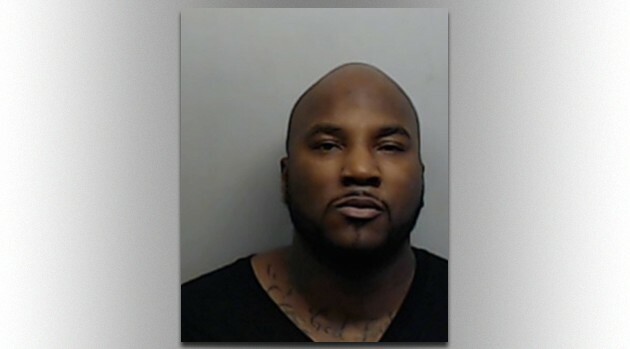 Jeezy turned himself into police Friday, January 3 and was released after posting $45,000 bond. The son also reportedly quoted his father as saying, “I will put a bullet in your head right now. If I could get away with it, I would kill you.” The incident allegedly occurred in September 2012. Young Jeezy has two sons, Shyheim Jenkins and Jadarius Jenkins. The identity of the son involved in this incident has not been revealed.